OKC.NET | A Monster Monday Beer Review!!! A Monster Monday Beer Review!!! Another Monday, another beer review. Today, intrepid beer reviewer Helen Grant was unavailable, so I found some replacements, including my longtime friend Adam Westbrook and his companions Chris Hall, Jennifer Trotter and Andreas Eitel. Together, we contiued OKC.NET’s ongoing mission to explore new pubs and new civiliations, and to boldly go where no beer review has gone before. We talked beer at the McNellie’s in Norman, and talked beerover their always excellent food while we watched the Manchester City-Manchester United match on ESPN. A perfect pub experience. 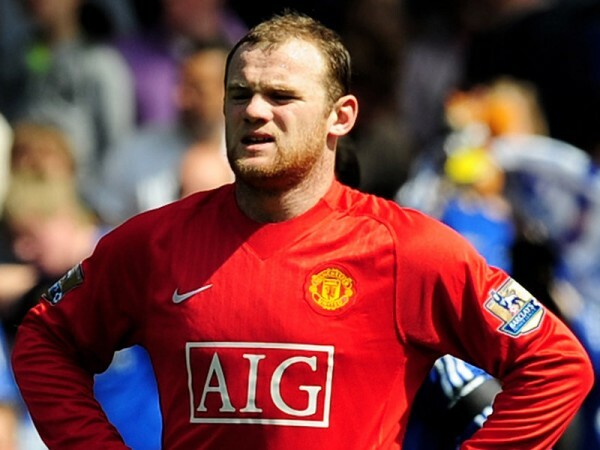 Even Wayne Rooney gets bitter beer face. For my first beer, I decided to give the Summer Ale another chance. I tried it last summer, and didn’t really care for it. The light, orange-y notes were not something I really liked. Since then, though, I’ve gotten thoroughly into IPAs, and so I thought maybe my palette has changed enough to give the Summer Ale another shot. Sam Adams‘ best beers are their Boston Lager and their seasonals, and the Summer Ale doesn’t disappoint. It’s very light, with a touch of sweetness, and goes down very easily. While still not a favorite, the Sam Adams Summer Ale is a fantastic beer for lazy summer days. I swear, these are the coolest glasses. I chose an Oklahoma beer because I’m from Oklahoma, and I wanted to try a local beer. The 1919 is a decent wheat beer; it’s a little light in body but has a decent wheat flavor. For a local beer, it’s pretty good. 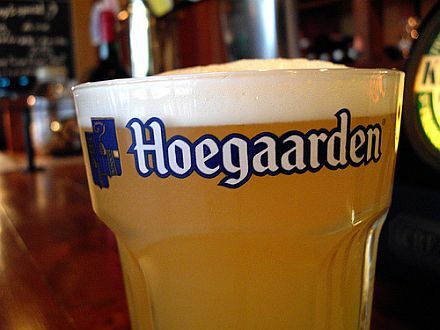 I picked Hoegaarden because it’s hot outside, and I wanted a refreshing beer. 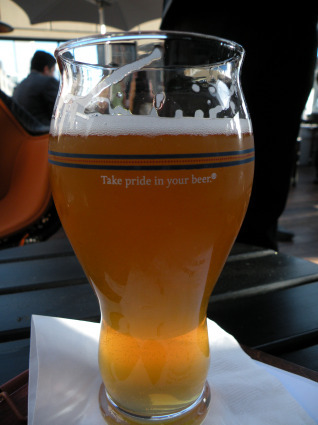 I think Hoegaarden is one of the best wheat ales in the world. I like stouts, and Left Hand‘s stout is much smoother than something dry like a Guinness. There’s a nice creamy head, notes of coffee at the beginning, and has a smooth finish. I wanted something dark, so I chose a Scottish Ale. It’s a wee light, though. Its flavor is somewhat similar to the heady maltiness of a Smithwick’s, but it has almost a watered-down taste. While not a terrible beer, it’s not not something I recommend. I’ve never tried a Russian beer, and so I was interested to see what it was like. It’s a lager, but it almost has its own style; it’s light, a bit dry, and has a touch of fruity sweetness in the aftertaste. It’s quite clear for a lager. It’s not bad, but I probably wouldn’t get it again. This beer is definitely a classic wheat beer. It has a flavor similar to Hoegaarden, but is a bit lighter, and with minor floral notes. Tagged Adam Westbrook, Baltika Lager, beer, Belhaven Scottish Ale, cs, Knoig Ludwig Weissbier, Left Hand, Left Hand Milk Stout, Sam Adams, Sam Adams Summer Ale, Summer Ale. Bookmark the permalink.